Q. I have struggled with fine lines from a relatively early age and want to address them in as very natural and non-invasive manner as possible. I don’t want to appear like I have had work done. What exactly is the difference between dermal fillers and botox and how do I know which cosmetic solution is right for me?A. The short answer is that while both of these procedures can be used to address your fine lines, they are two very different procedures with their own sets of benefits and results. Let’s take a look at Botox first. Botox (Clostridium Botulinum) is injected directly into muscles and used to improve the look of moderate to severe frown lines and wrinkles resulting from years of showing emotion – frowns, smiles, worry… When a Botox treatment is applied, the muscles in the areas are relaxed, resulting in softer lines and decreased wrinkles for a short period of time. Lasting between three and six months, Botox can be repeated often without any long-term side-effects. Unlike some myths due to extreme Botox use, patients will still be able to smile and display facial expressions like they naturally would. 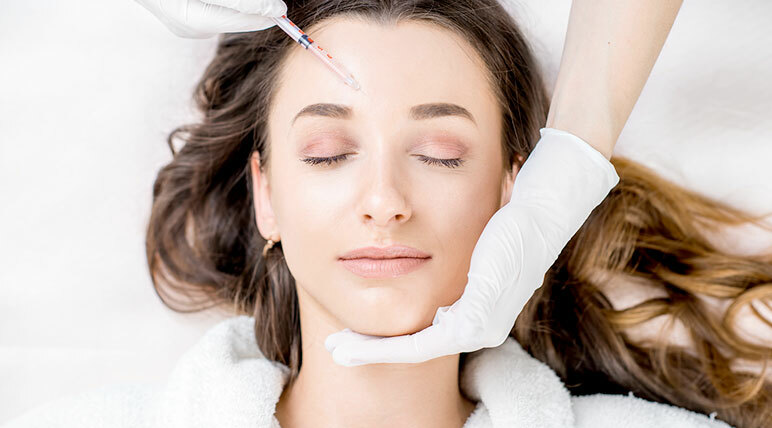 Because Botox is injected directly into the muscle there are some medical conditions that benefit from Botox injections as well, such as chronic migraines, excessive sweating, lazy eye and cerebral palsy. Dermal fillers are more cosmetic and restorative in nature. As we age, we lose the natural collagen and elastin in the skin, as cells lose their ability to produce more of their youthful component. The injection of dermal fillers into the skin replaces the collagen lost and freshens the skin while reducing the signs of fine lines and wrinkles. Typically used around the mouth and cheeks, dermal fillers can also be used to plump up lips that have lost their shape over the years. Depending on the injection type, the patient should expect dermal fillers to last from anywhere between six months up to two years. Both Botox treatments and dermal fillers are extremely safe options when administered by a professional, such as our team at Oak Lake Medical Centre & Spa. We invite you to come in for a consultation to see how we can help you get the results you want. Oak Lake Med Spa is located at 146 Lakeshore Rd W in Oakville. For more information about Botox, Dermal Fillers, PRP treatment, or any of our other cosmetic treatments, please feel free to continue browsing through our website. You can call us about your cosmetic treatments like Botox and Dermal Fillers at 289-837-4747 or by filling out our contact form.